MISHAWAKA – The game has become a postseason tradition and a chance to see some of the top area talent gathered in one place one more time. A host of top boys and girls basketball players from Northern Indiana and Southwestern Michigan were chosen to represent at the McDonald’s Michiana All-Star Game. Set for Tuesday, March 26, at Bethel College, the All-Star game is in its eighth year and features players from Michiana. The games, which has the girls slated to tip at 5 p.m. with the boys to follow, pits two squads mixed with several college level players. The girls game will feature four players from IFN coverage schools. 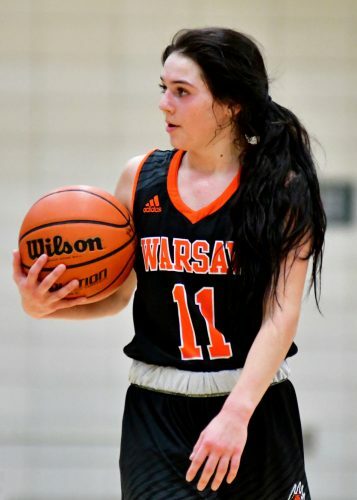 Warsaw’s Maddie Ryman, Tippecanoe Valley’s Sophie Bussard, Wawasee’s Casey Schroeder and NorthWood’s Maddy Payne are among 24 girls nominated to play. Other direct area players on the girls side include Bethany Christian’s Anya Kauffman, Bremen’s Karlee Feldman, Northridge’s Morgan Litwiller and Sierra Miller and Elkhart Central’s Trinitee Harris. The boys game has area players Bryant Robinson of Goshen, Elkhart Memorial’s Trey Gallope and Hank Smith, Jimtown’s Austin Pearison, Concord’s Michael Robinson and Northridge’s Jackson Erekson. Tickets for the two games are $6 for adults and $2 for students. Kids 12 and under are free. Tickets are only available at the Bethel College doors. For more information on the All-Star games, visit Bethel’s McDonald’s Michiana All-Star Game site.